The U.S. Navy plans to negotiate a potential 10-year, $1.86 billion contract with Boeing (NYSE: BA) for the procurement of new and updated P-8A Poseidon training systems. A FedBizOpps notice posted Tuesday says the indefinite-delivery/indefinite-quantity contract will include upgrade work on aircrew and maintenance training systems for the Navy and the Australian air force through a foreign military sales transaction. The IDIQ will cover the modernization of 20 operational flight trainers; 37 electronic classrooms and mission system desktop trainers; 16 weapons and tactics trainers; five part task trainers; eight deployable mission system trainers; three training system support centers; 11 virtual maintenance trainers; two ordinance load trainers; 26 hardware type 2 maintenance device trainers; and one mission avionics systems trainer. 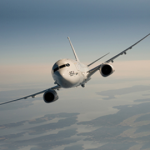 Boeing will be contracted to also develop, test and evaluate associated P-8A systems, hardware, software, courseware and subsystems. The company will also conduct engineering investigations, analyses and change proposals, as well as help update the Naval Aviation Simulation Master Plan and systems fidelity. Small businesses interested in supporting the project as subcontractors can notify Boeing or the Naval Air Warfare Center Training Systems Division, the notice states.